A manhunt is underway for a 25-year-old man who is suspected of shooting a Virginia police officer during a traffic stop, authorities said. 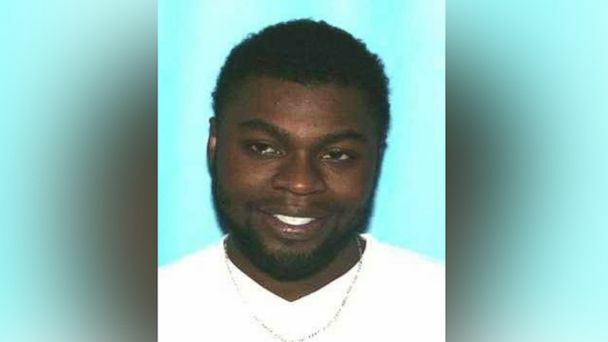 Donquale Maurice Gray, who is believed to be armed and dangerous, allegedly shot the officer from the Bluefield Virginia Police Department just before midnight Saturday, according to Virginia State Police. Gray was in the passenger seat of a 2008 Toyota Yaris when the vehicle was pulled over at 11:45 p.m. on Route 460, near Exit 3, near the town limits of Bluefield, police said. The officer, who has not been identified, stopped the vehicle because of an equipment violation, police said. That's when Gray allegedly opened fire on the officer, who was standing on the driver's side of the vehicle, police said. The wounded officer and a colleague who responded to the initial traffic stop shot back at the vehicle, police said. The driver of the Toyota, who has not been identified, got out of the vehicle and surrendered, police said. But Gray allegedly hopped in the driver's seat and bolted, police said. The vehicle, with the license plate 53U 974, has since been recovered, police said. It is now "believed Gray is on foot," according to a post on the police department's Facebook page. The wounded officer was rushed to Roanoke Memorial Hospital, where he was being treated for serious but not life-threatening injuries, police said. The driver of the vehicle was cited for a traffic violation and released, police said. He was not injured. The other officer was not hurt either, police said. Gray is 6-feet-1-inch tall and weighs approximately 185 pounds, police said. It's unclear what clothing Gray is wearing. His last known address was in Bluefield, police said. Anyone with information about Gray or the shooting is urged to call 911 or the Bluefield Police Department at 276-326-2621.